Proper home maintenance is not just about routine checking for repairs and keeping your home clean and organized; it should also involve doing the necessary measures to protect it from pesky creatures called pests. Regular pest inspections are all about nipping pest problems in the bud. Even if you don’t see any visible signs of termites, scorpions, ants, bed bugs or rodents in your home, they can be lurking around and starting to grow in obscure areas that you don’t normally see. Regular pest inspections can detect pest problems at an early stage. This enables you to take necessary action to contain the infestation before it goes out of hand and cause major damage. Pest problems can cause financial setbacks, because expenses for extermination and repairs will all come from your pocket. Unfortunately, your homeowner’s insurance policy cannot help you out in this situation because it doesn’t provide benefits or coverage for repairs and damages caused by pests. “One issue is that it’s hard to determine how much damage an infestation can cause, and a great deal of it has to deal with an individual’s lifestyle too,” Desiree Baughman, insurance expert from Insurance Quotes, explains in an article. Basically, the insurance company sees a pest infestation and any damage resulting from it as a maintenance issue, which is part of your responsibility as a homeowner. So bed bugs can be taking up your sleeping space or termites may be eating up your walls, but homeowner’s insurance will not roll out a single dime for services and repairs. As a result, your budget may end up with a huge dent because you have to pay out of pocket for all of these expenses. Regular pest inspections can prevent that from happening. Aside from containing nasty creatures, they also help protect your finances from bigger costs that may result from pest problems. Regular pest inspections can help preserve the value of your home, because they help with early detection and treatment of pest infestation. If you’re thinking of selling a property, see to it that your home is checked for any signs of pests and make sure to have these creatures exterminated before you put it on the market. 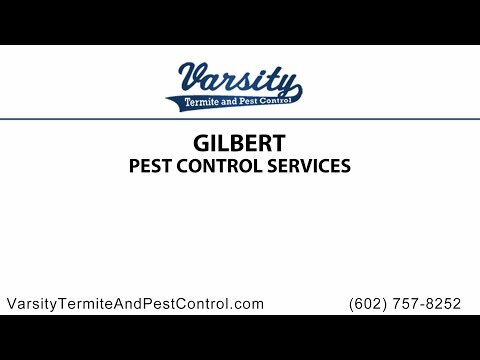 If you’re planning to buy a house, have it checked by professional Gilbert pest control exterminators. This ensures that the property is in good condition and free of any creatures that can cause damage to it. Avoid any nasty surprises once you move in and seek pest services during the early stages of acquiring a new property. Aside from exterminating any signs of unwanted creatures, professionals may also recommend preventive treatments to further keep pests away from your home. At the end of the day, it’s all about having a sense of assurance that your home, which is one of the most valuable assets you have, is protected from anything that can destroy it such as pests. Don’t let a pest problem go out of control and force you to get rid of a furniture, renovate a part of your house, or worst, move out of your home. Pests may be small creatures, but they can have a great impact on your property and quality of life. Regular pest inspection is more than just a maintenance step for your property. Its main goal is to protect the home’s inhabitants, and that is you and your family. Contact us today! Read the rest of Is Termite Damage Covered by Your Homeowner’s Policy?